What is content design, and why does it matter? Content design is taking what a user needs and giving them the answer in a way that makes the most sense to them. It’s a collection of techniques taken from all over the place and put together to make a single discipline. 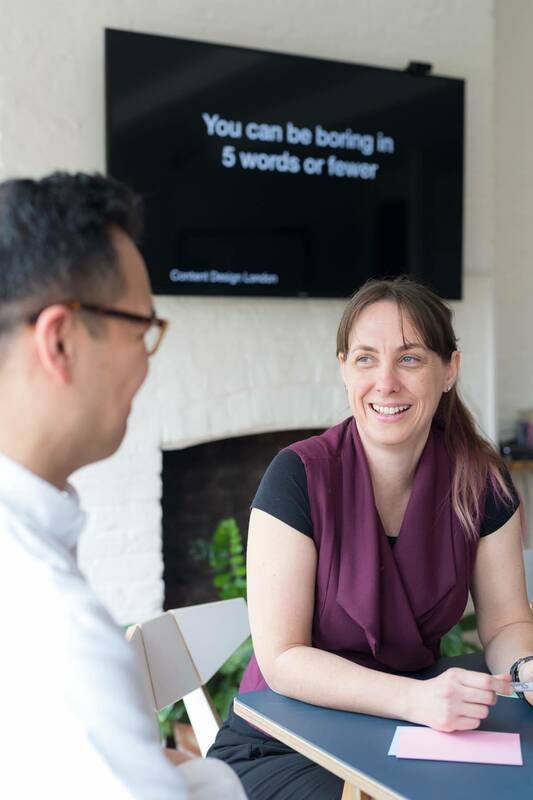 For example, we take a user journey, work out what language people are using on what channel (using SEO tools and research), find out what people expect from us, what they need and want and then create content — whether it’s a tool, calculator or calendar — that will meet their need. It matters because it’s applying a variety of user-centred techniques to content. At times, writers have simply written what the organisation wants to say. Content designers never do that. We work from the user perspective. Always. It’s a little surprising that content design originated from a UK government website. What’s made gov.uk so special? GOV.UK shows that even massive, hierarchical, traditional organisations can provide user-centred services. Previously, government content was ‘signed off’ by people who had no expertise in digital communication. It meant there were masses of unusable content being published. We changed that to ‘fact check’. The experts are experts in their field because they practice it. They (probably) love it. They spend a lot of time on it. We are experts in communicating those messages because we love it… we spend time on it.. You see where I am going with this, right? GOV.UK also brought expertise like developers, designers etc all in-house. No more extremely expensive agencies. Talent and commitment all in house. We could not have done all that with really strong leadership who just weren’t afraid. They understood what they wanted to happen, what was right, and went for it. How do you design (content) for today’s short attention span? Give people what they need at the time that they need it on a channel they are on. You can be boring in five words or fewer. Be relevant and you’ll keep attention. What skills does a good content designer need, and how do they differ to those of UX writers? Ah, well, here’s an interesting one. We as a content industry can’t seem to agree on a term for ourselves. Which I find very funny. A lot of UX writers do the same as content designers. Some don’t. Some only write for transactions. Content designers can work on long- or short-form copy, transactions, services, the lot. That’s the skill: understanding what is best for the user. Doesn’t mean they do all of it — for example if a video is needed, I don’t expect content people who have never scripted before to come up with something awesome. I expect them to hire people who can. When you optimise your content and use plain English, some people say it’s ‘dumbing down’. You hate this expression, don’t you? If someone says you’re dumbing it down, what they’re actually saying is that they’re really clever. That level of arrogance just drives me bonkers. You might be clever but so are other people. There’s a study that says that lawyers, barristers and high court judges are some of the most well-read people on the planet. They don’t want to read vast quantities of rubbish either. They want something that’s plain and easy and quick to understand. There’s a whole bunch of studies out there: the cleverer you are, the more you read. The more you read, the less time you have. So why don’t you just make it easy? Another reason someone says you’re dumbing it down is that they can’t find the information they need. If you then actually drill down into the conversation, it could be an architecture problem. I’ve written a whole blog post about dumbing down. How do you balance business goals with user needs? If you have something to offer, it’s likely you can turn your goals to what a user wants. It just depends on how you do it. If you go out and say ‘look at us, we’re fab’, it won’t resonate with anyone outside your family and friends. You need to go to your audience, give them what they need from you and add value to their experience. If you are just noise like everyone else, you won’t be as successful as others. Find your user need, go to them, win. You don’t have to know everything. Because you can’t. But it was the best advice I ever had. I trust my user researchers to find me the answers. I don’t have the answers because I never have and never will. The answers are all with my audience. 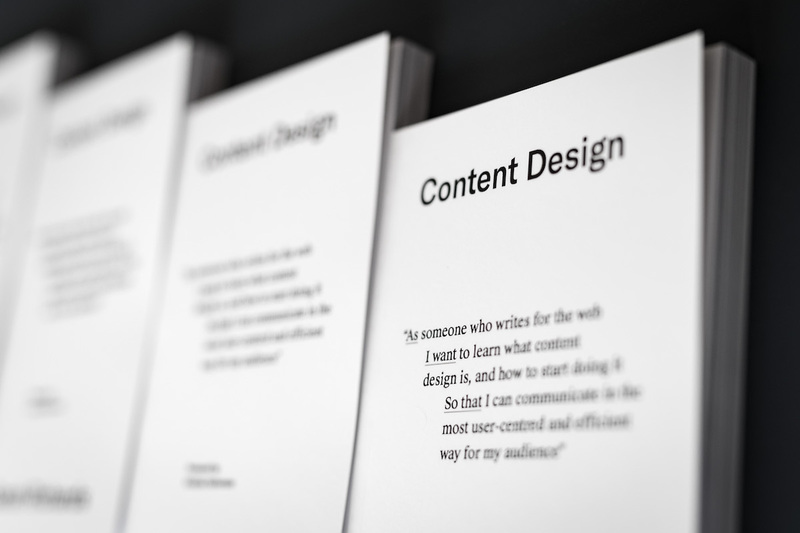 What’s made you write a book about content design, and why did you decide to self-publish it? I’d written about using headings and why there were important. I decided then and there to self-publish. It was ridiculous. Once I had spoken to Mark Hurrell, the designer for my book, I knew no publisher would take me anyway. I wanted the book about content design to be about the design of content. That can’t happen if it looks like all the other text books in the world. What can people expect from your talk at Pixel Pioneers Bristol? My session is called ‘why content is user experience’. I find we have user experience designers and user experience researchers but then content people are just content. I’d like to see if I can convince the audience that content is as important to user experience as any other discipline. I’ll show how some tiny content considerations can make or break an experience and why content design matters. 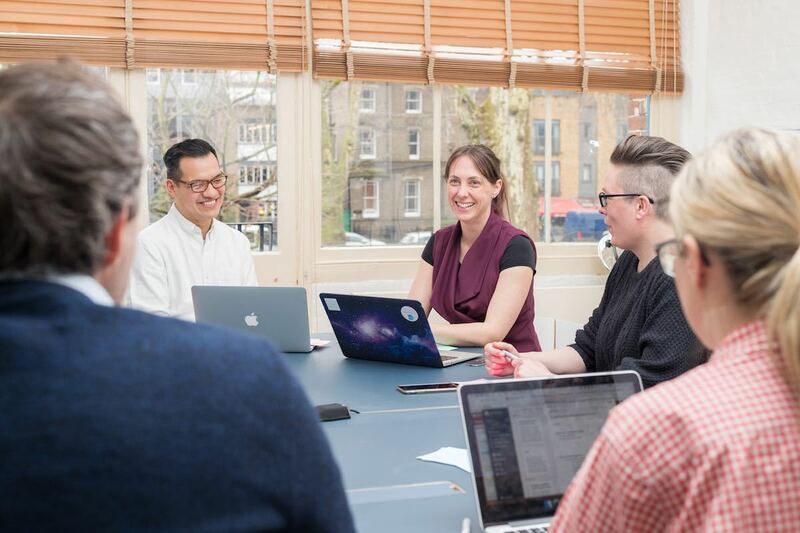 Pixel Pioneers Bristol on 8 June features seven other talks covering design systems, inclusive design, perceived performance, variable fonts, and more. There are also two workshops on easy and affordable user testing and UX psychology on 7 June.